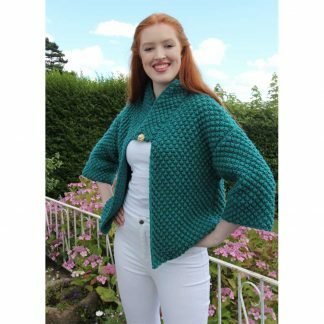 This original designer knitwear skirt knitting pattern from Award Winning Designer Marianne Henio is for the Georgie Skirt. A cute little skirt suitable for all ages and simple to knit. 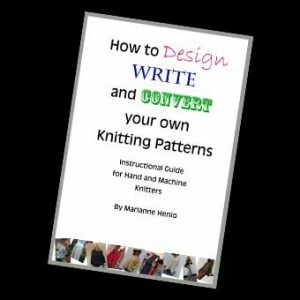 It is a download the pattern in Digital format. 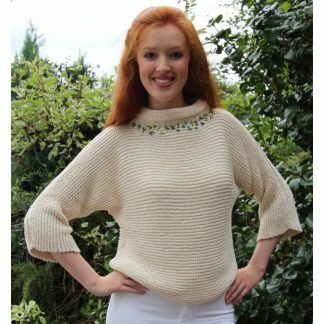 It comes from Marianne’s series of easy to knit patterns for the beginner up, and is inspired by her catwalk designs. 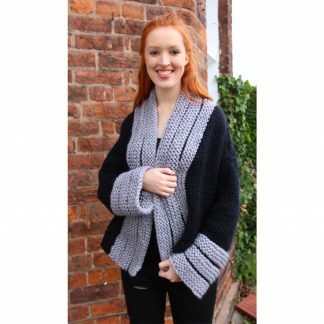 This skirt knitting pattern is knitted sideways in one piece. Godets give the Georgie Skirt flares around the bottom edge and pull the waist in creating a very flattering shape. 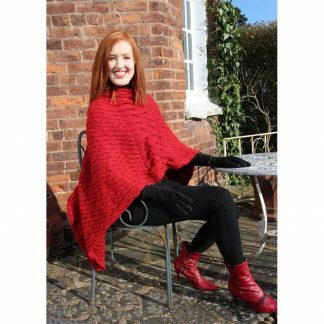 The length of this simple skirt knitting pattern is easy to alter to suit your requirements by decreasing the number of cast on stitches. Included are sizes XS/SM/M/L/XL and XXL so it should be suitable for all. 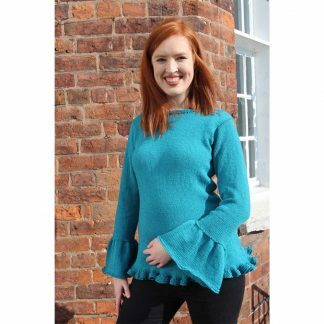 This skirt knitting pattern is written in the new ‘easy to understand’ format which makes your job easy. 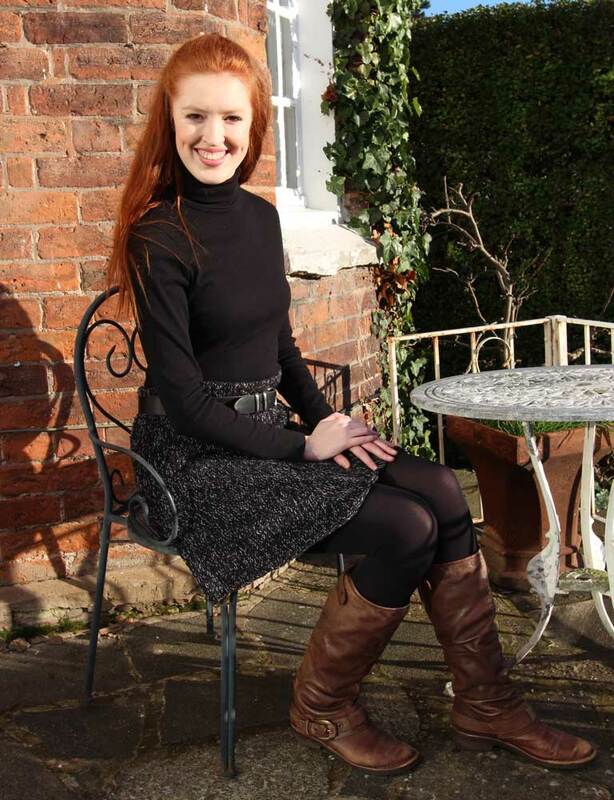 The Georgie Skirt is suitable for beginners to intermediate. Yarn used: 3 strands of Fancy Knitting Yarn Acrylic Crinkle – DK in black, plus 1 strand of Yeoman Supersheen in silver. Yarn used: approx 390g for size SM. 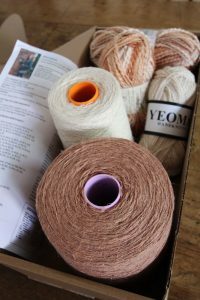 Estimated yarn for other sizes: XS=340g, M=460g, L=570g, XL=620g, XXL=680g.